Here is the list of Urgency Apps for iPhone and android users. Urgency applications are becoming popular among Smartphone users these days. If you have these applications on your cellular device you can certainly find them helpful in case of urgent circumstances and emergency cases where you can always rely on your phone to provide you the assistance and help that you need. These 7 urgency apps for iPhone and Android are very popular among Smartphone users and the ones that you should consider having on your device as well. This is an application that is optimized for Android and iPhone that allows you to be connected to your healthcare provider. You can use the app to locate the nearest in-network urgent care center to find a doctor who can provide you the health care that you need while enabling you to estimate the costs with just a few clicks. It also provides you prescription drug information while finding a low cost drug options. This program is designed by the American Red Cross where you can obtain an expert advice regarding medical emergencies. The apps may be downloaded on iPhone and Android devices where one has an access to a step-by-step instruction on the first aid response for medical scenarios. It also comes integrated with 911 feature to place a call from the app any time. It also offers safety tips and information for emergency situations. This is called as a life saving apps for Android and iPhone. The application allows you to alert your friends and family members that you are in an urgent and emergency situation while connecting to 911 at the same time. You can also send information and updates about your real time location to make known to your loved ones where you are. The app allows you to add at least 10 persons on the app’s emergency contact list. You can easily access the application directly from your mobile home screen using a convenient red button icon in case of emergency. This is a free application optimized for Android and iPhone that helps you to initially diagnose your symptoms and where to get help in case of emergency. Using the applications, you can easily find urgent care clinics, pharmacies and doctors with maps going to medical and health care facilities. iTriage allows you to make a pre-registration to urgent care facilities and select your own choice of hospital emergency room. It also conveniently helps you to make an appointment with a doctor through the application. Using iTriage helps its users to store important healthcare information and access a list of hotlines to reach health professionals in case of emergency. This is a paid application that could help you obtain a digital first aid help. There are helpful videos to help you handle medical emergencies like burns and minor cuts. With 130 videos available to help you learn how to respond to emergencies, you can help yourself or others in case of emergencies. Included in the videos is CPR instructions and the management of heartburn and colds. Learn tips on survival and protecting yourself in case of disasters and other untoward events from this app as well. This is an application that is concerned for a mobile user’s safety. You can instantly connect to a network of people like your family members, friends and authorities in the event of emergency cases. Using the app, you can instantly send vital information to them including your exact location, name and the nature of your emergency. Using the app you can also create a personal profile with valuable information like existing medical condition, blood type, weight, hair and eye color, doctor’s name and contact number and any medication you are currently taking. Guardly for iPhone is available on the iTunes store. This is an iPhone application that speaks on your behalf in case of emergency. The Smart ICE application provides a recording feature that allows you to record a message regarding your valuable medical information so that in case you can’t talk, the application will speak for you to make your medical condition known to others. 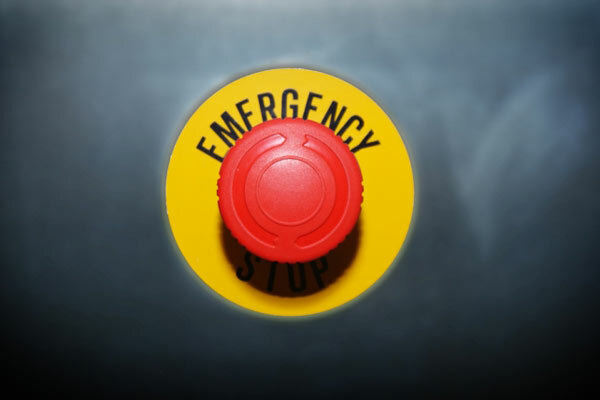 An EMS button is available where you can dial emergency services. It comes in alert mode with a “my location” button to help the EMS dispatchers to easily find you. Previous: What is VPN and why do I need it?